A recent study by Texas A&M International University found that contrary to popular belief, violent video games can actually aid in alleviating stress. The beneficial findings are a sharp contrast to the otherwise bleak shadow cast in recent years by narrow-minded big wigs trying to get ahead in the polls or by the attorneys hired by the parents of vacant-minded teen killers looking for a “Get Out of Jail Free” card from public scrutiny. Dr. Christopher J. Ferguson, associate professor at the university, has spent a large portion of his career conducting research that deflates any substance behind the rationale that violent video games actually cause violence. His most recent endeavor, appearing in European Psychologist, Volume 15, is refreshing and relevant incite into a global phenomenon that sees 53% of adults and 97% of teens partaking on a daily basis (according to a 2008 poll). For years, the popular myth that violent video games have fueled the disassociation between troubled teens and society has always been at the blaming end of pundits and politician’s and parents looking for any answer that will help rationalize their failures with a decent upbringing. While video game violence causing disgruntled tendencies in its users has been argued and debated across all public forums, a link between the two has never been factually supported beyond narrow scopes of research created to fluff up a non-existent argument on the opposing end. These findings should help put wind in the sails of the video game proponents whose opinions have been smothered in hearsay from media outlets in the past fallouts of the Virginia Tech and Columbine shootings. Historically, it seems as though mentions of Doom and Grand Theft Auto III go hand in hand with these tragedies, giving anti-game crusaders camera time for their soapbox charades to preach their unsupported opinions as fact and guilty parents the scapegoat to continue on with their lives. Dr. Ferguson did disclaim that further research would need to be conducted to conclude a definitive explanation, but with the correlations he has already witnessed, suggests that violent video games could actually be used as a therapy for adults and teens. Consider your next headshot inCall of Duty: Modern Warfare 2 a right hook to a virtual punching bag. When asked for comment, Senator Joe Lieberman’s head exploded. And somewhere in the distance, a deep, raspy voice mutters out "FATALITY". 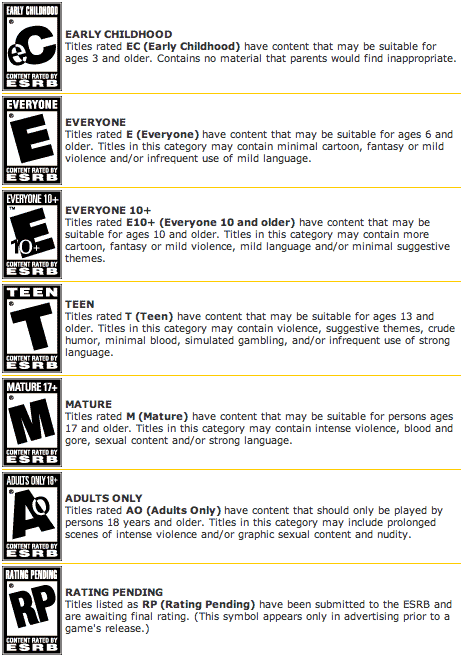 For parent's concerned with the games their children should and shouldn't be playing, please consult the Entertainment Software Rating Board ratings attached and take the appropriate actions as role models to proactively seek out the proper software titles for your kids. What is the best programming language for making a 2D game? Please help me for protect my flash games.